The software component of the project consists of a primary Max patch that parses the satellite data, and interprets and seperates particular values to work with. These values are then used to drive various components of the physical modeling engine and the visualization module. The user can make adjustments based on incoming data ranges to "tune" the data for differing effects. 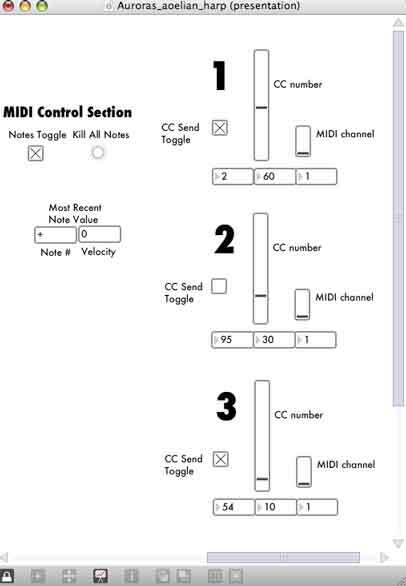 A secondary layer which allows for MIDI output is also built in, so that any hardware or software platforms may be driven from the patch. 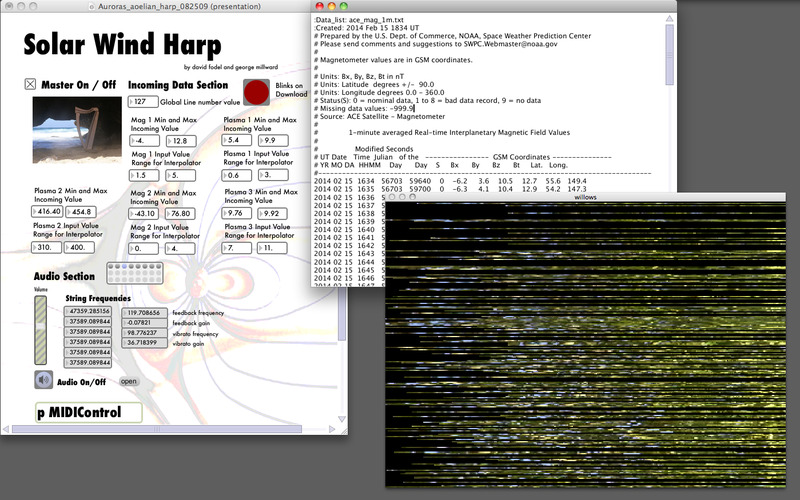 Additionally, a feature that coordinates the communication between the Harp and the Arduino is under development. Send us an e-mail if you are interested in working with the patches.